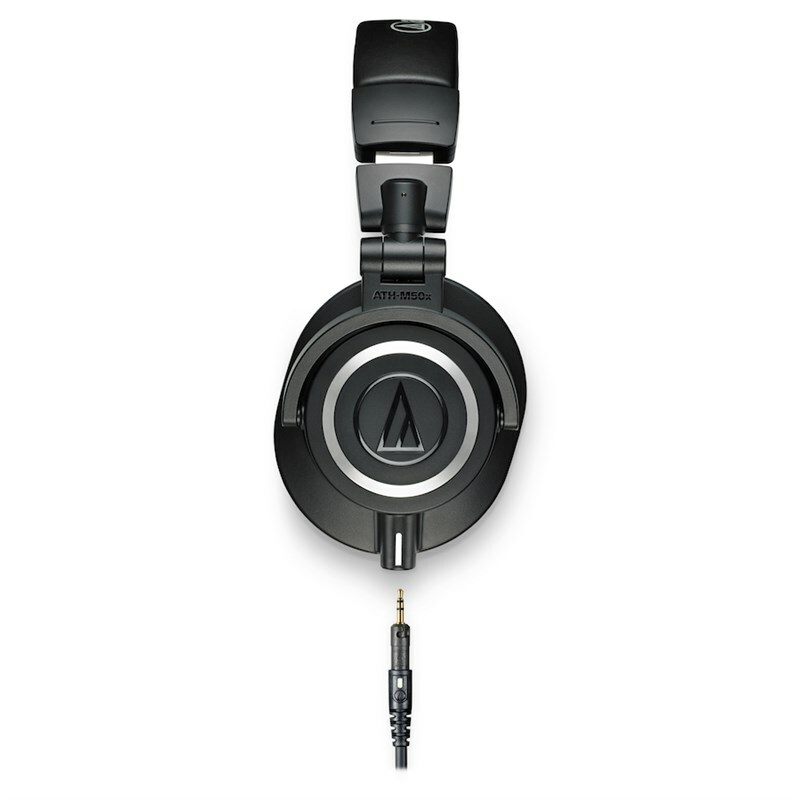 The ATH-M50X headphones are the most critically acclaimed model in Audio-Technica's M-Series line. The ATH-M50X's are highly praised by professional studio engineers and producers all over the globe. The Audio Technica ATH-M50X's boast 45mm drivers featuring rare earth magnets and copper-clad aluminium voice coils, offering superb clarity throughout an extended frequency range that offers crystal-clear highs and deep accurate bass response. When wearing the ATH-M50X's, they feel comfortable and highly isolating, featuring a circumaural design that contours around the ears and block out surrounding noise with ease, leaving you to concentrate on your audio. 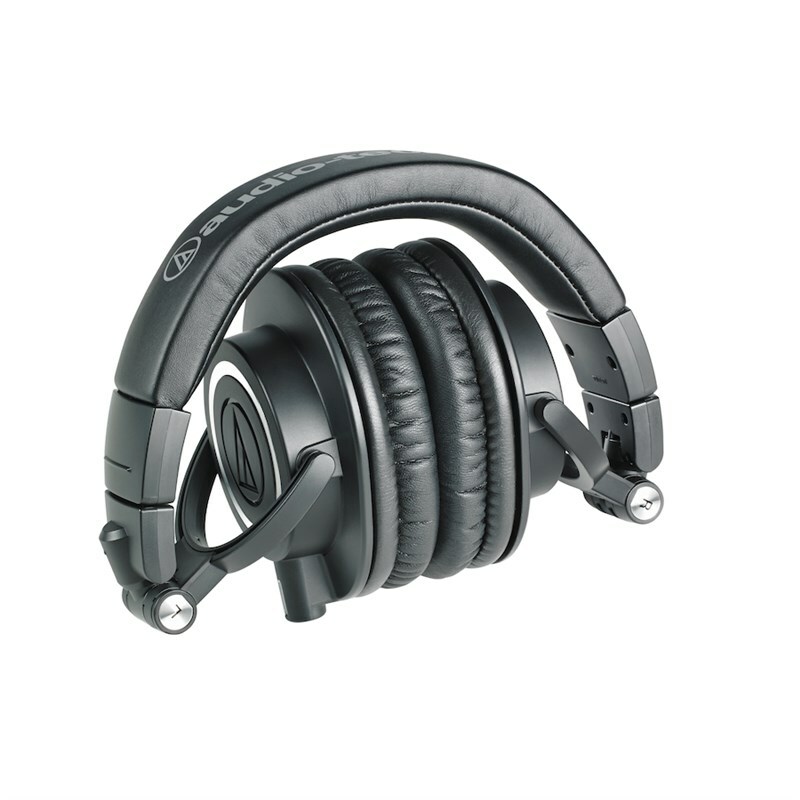 Furthermore, the earcups have a 90-degree swivelling action making them ideal for one-ear monitoring or DJing scenarios. The Earpad and headband material is spongy and features professional-grade material that remains comfortable even after long periods of wear time. The ATH-M50X also features a 1.2 - 3.0 m coiled cable, as well as a 3.0 m straight cable and additional 1.2 m straight cable so the headphones can be applied in a number of different environments.